Credit cards are such a major part of many people’s financial lives. If used the right way, credit can help you receive lower interest rates on credit cards & loans and be approved for renting easier. Here are some tips to help you use credit better. If you’re just starting the process of building credit, start slowly. Applying for many forms of credit at once may make you appear to be dependent on credit and likely to be denied in the future. Start with one card and use it to make small purchases that can be paid off easily each month, such as gas or a subscription service. Once you have a credit card, it’s important that you use it. While an unused card is still helping build your credit (length of credit) it’s doesn’t account for as much as credit utilization does. While there’s no exact number, most experts suggest never using more than 30% of your credit at any given time. More than this may show a dependency on using credit to make purchases you can’t really afford. When using credit to make big purchases, make sure you have a plan in place to pay it off as soon as possible. The longer you have a balance sitting on a credit card, the more money you’ll end up paying in interest. A credit card isn’t an excuse to buy things you can’t afford. 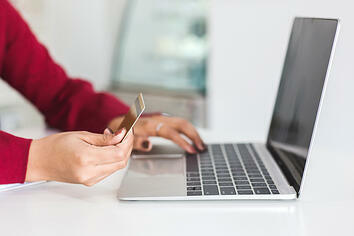 Always make sure that you make credit card payments on time. Even a couple of late or missed payments can lower your overall credit score. Set reminders when credit card payments are due. Depending on your budget, you may want to schedule these dates around the same time or stagger them so they are spaced out. You can change your payment date by reaching out to the credit card company.